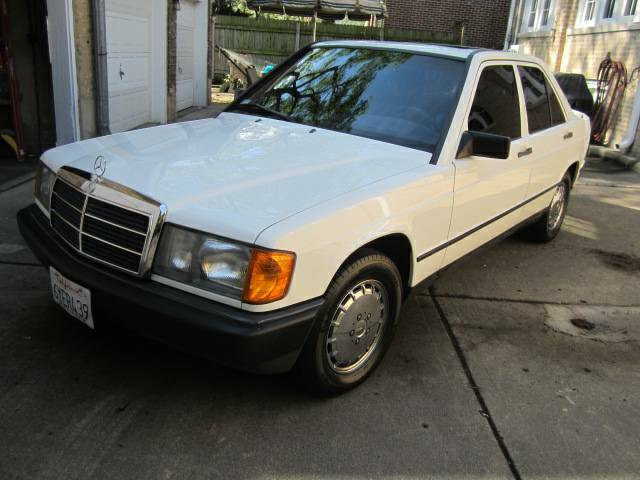 First up is this 1984 Mercedes-Benz 190D offered for $7900 in Evanstown, IL via craigslist. Put down the pitchforks, this isn't another insane seller trying to get some princely sum for another aged diesel benz, this thing is legit creampuff with a 5-speed gearbox and a gorgeous interior. The seller claims this thing has been a Cali car since new...so somebody save it from the terrors of the midwest winter salt!! PLEASE!! If this thing doesn't get riddled with stray bullets from nearby Chiraq, this thing will be devastated by the winter salt. 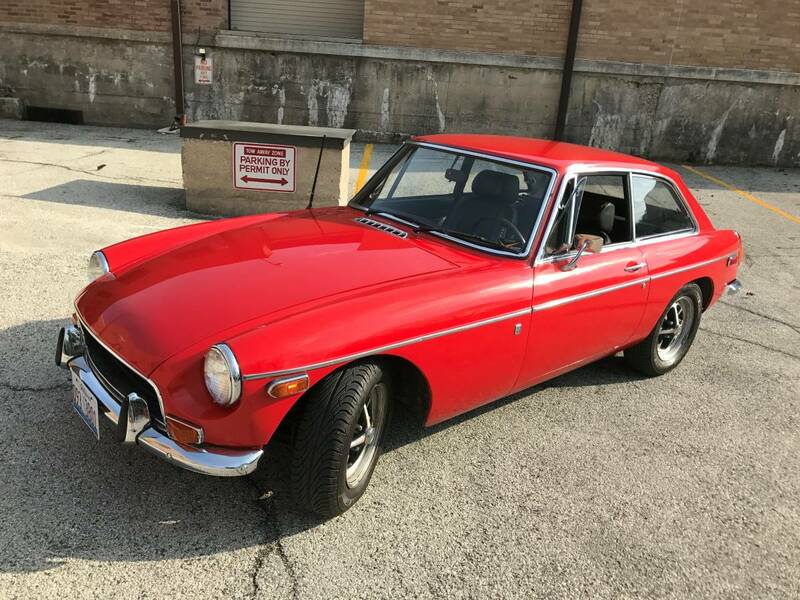 Next up is a 1970 MGB GT offered for $9,250 in Evanston, IL via craigslist. 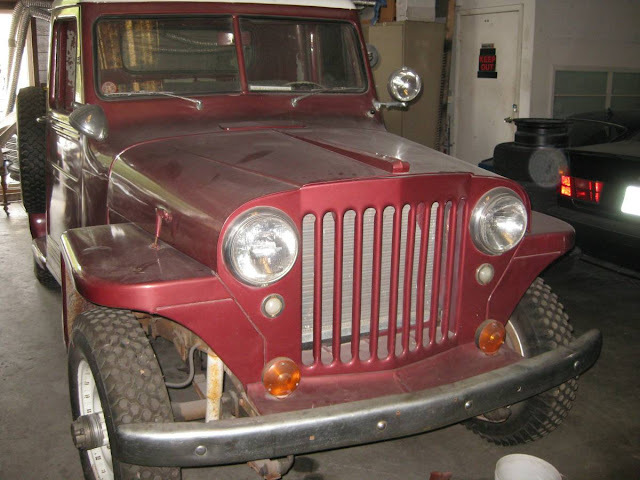 Another car from the wilds of the midwest that also doesn't show any rust bleeding...ah, it is another Cali export, but the seller claims it has been stored in doors and it is in original unrestored condition. 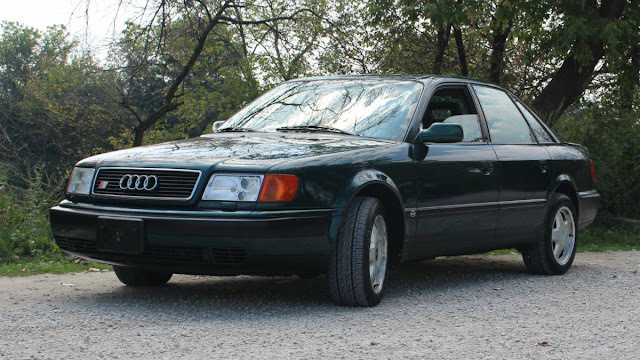 Next up is a 1993 Audi S4 offered for $9000 in Hodgkins, IL via craigslist. Tipper Fueltruck must have had Chicago on the brain because this is yet another from the wilds of the non hillbilly side of Illinois. It looks like a good car for the asking price because you don't see these around at any price in this condition. Moving East we head to the wilds of Ohio in a little town called Cincinnati for this 2000 Honda S2000 offered for $9000 via craigslist. The S2000 is on my short list of cars that you should buy up at bulk and store in a barn for future appreciation, but you'd probably want to hear that 9000 rpm F20C 4-banger screaming too much to let it sit. 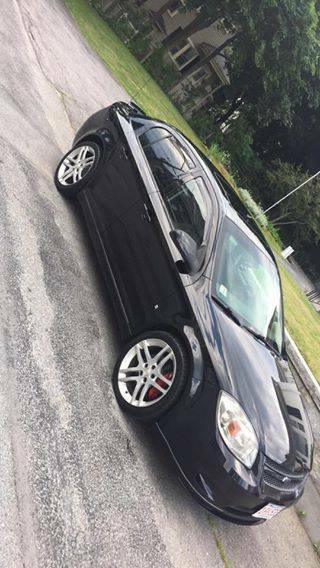 Next up is something a bit more modern, but no less fun or ridiculous to drive -- this 2009 Chevrolet Cobalt SS offered for $8500 in Boston, MA via craigslist. The Cobalt SS was a monster of a sport compact machine, and featured a front-tire-destroying 260 horsepower from the turbocharged GM ecotec 4-banger. Consider this a front-drive version of the Saturn Sky Pontiac Solstice that seats 5 people. Last up is the wild card, the odd ball, the Ringo Starr of the group. It is this 1949 Willys Jeep Pickup 4X4 offered for $8900 near Ft Myers, FL via craigslist. If your car choice comes down to a Willy Jeep or an S2000...you might need to consult a professional for help...but who am I to judge. Thanks to FuelTruck for the tips. What would you buy? Comments below. Money photo from Pictures of Money on flickr via creative commons. Both the MGB GT and the S2000 look good to me, but maybe I'm just in the mood for a red car. I cannot fathom another mgb gt after my...educational...experience. They are remarkably adept at hiding the rust they seem to cultivate with stunning alacrity. Maybe I'm just a curmudgeon, but none of that appeals to me. 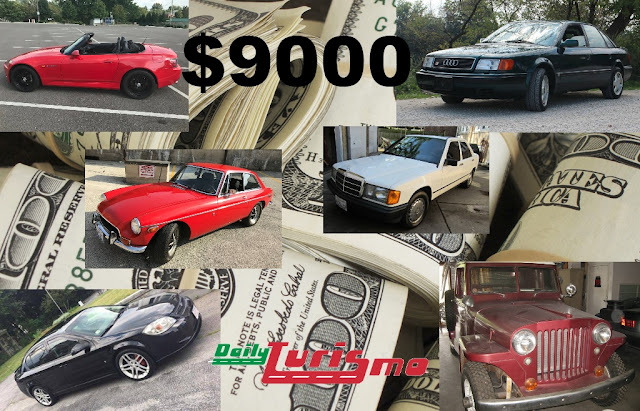 I want a cheaper MGB, one that I can afford to drive[read: beat on] every day without wearing kid-gloves. I've already got a 5 speed BMW 524td, which I like better than the Benz. Likewise the S4 is like an M5 (I'm using an e28 for this comparison, because I don't own an E34) that put on a few [hundred] pounds and lost some horsepower. Sure you could crank up the boost from the turbo, but it's still fat and driven by too many wheels. RWD uber alles. 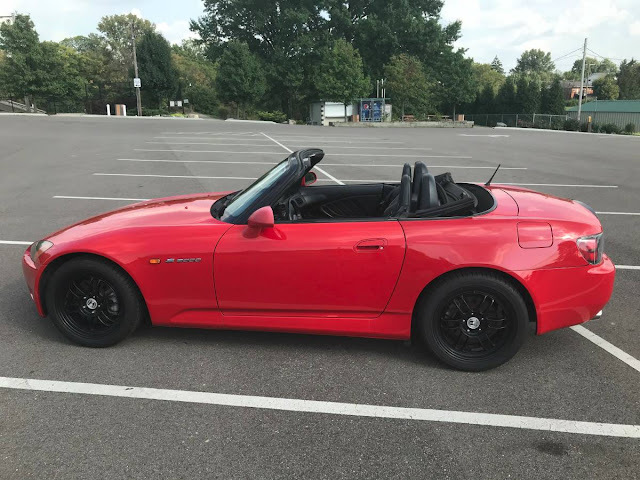 I hear the S2000 is getting mopped up by ND Miatas at national level Autocross, and NDs are going to get cheap, so in 5 years that's the option I'd rather have. I hear good things about the Cobalt SSs (or did when car and driver had them) but the thought of spending actual American money on a Cobalt does not appeal. As for the Jeep, kinda expensive for a toy, no? I'd go for the Willys. If the Mercedes had been a 2.3 Cosworth powered 190E, that might have been a harder decision. Was that Senna in a 190 for some exhibition event making the car do things the other drivers knew not? Vid please?